Keeping weight off can be an even bigger challenge than usual during the holiday season. 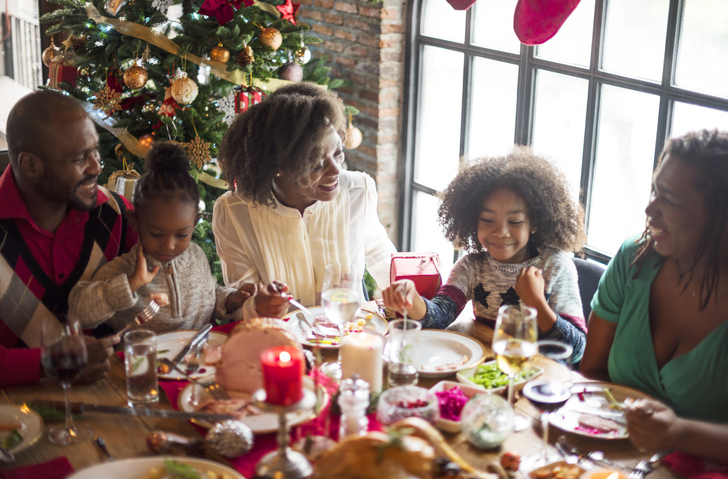 Between holiday parties, goodies at work, and big family meals, the calories, fat, and sugar can add up more quickly than you realize, leaving you with weight to lose as you start the new year. Whole wheat flour for half of the all-purpose plain flour called for in baked goods. Whole-wheat pastry flour works well in cakes and muffins. Taking the time to plan for meals ahead of time can make healthy choices easier. For example, prepare your lunch the day ahead so you’re not tempted to grab an unhealthy meal at the drive-thru. It gives you more control over the ingredients and meals you’re eating and makes you less likely to make poor choices. Having a reasonable portion of a food you like often works better than depriving yourself entirely. Put some foods you’re craving on your plate, but make sure to fill at least half of the plate with fruits or veggies. Portion control can also apply to sweets if you eat a small sample of what you’re craving. Filling up on sugary or alcoholic beverages can greatly increase your daily calories without providing as much satisfaction and making you as full as food does. Avoid drinking too many calories by enjoying a wine spritzer with sparkling water and splash of wine and fruit juice or another tasty, yet relatively low-calorie choice. You may be tempted to skip meals to “save” calories for later. Instead of working as you intend it to, you’ll probably end up making poor food choices and overeating later. Instead, enjoy a balanced breakfast and lunch before a big meal, and you won’t be setting yourself up to overeat. Don’t eat food just because it’s available. Instead, place a priority on what you enjoy. If you find a dish like dressing to be just OK, feel free to skip it. Make sure to get at least a little of your favorite food so you get to enjoy it without pigging out. And finally, although your eating habits are certainly important over the holidays, don’t forget about exercise. Try to keep your normal exercise routine as much as possible, even though it might be cold. Get the family to join in an organized run/walk or arrange for everyone to going skiing or skating. If you want to stay indoors, try a new class at a gym. To learn more about healthy weight loss, make an appointment today with Park Avenue Medical Professionals on the Upper East Side in New York. Our expert specialists provide superior, patient-centered medical care as we work with you to improve your health.